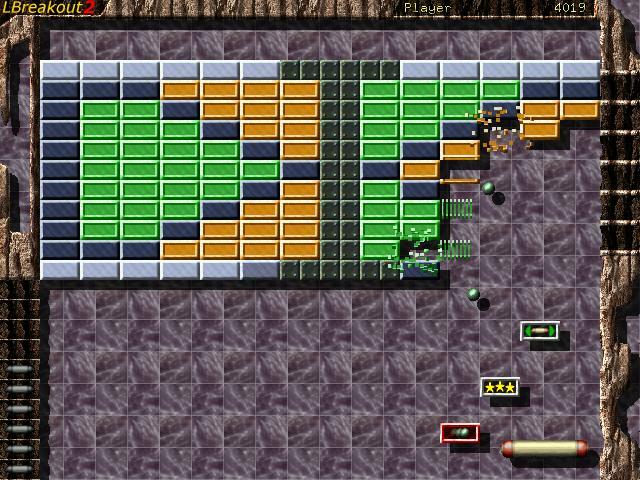 Description: It is a breakout-style arcade game in the manner of Arkanoid. Use your paddle to aim a ball at bricks until all bricks are destroyed. Lots of power-ups will help you with that task: extra balls, energy balls, extra lifes, weapons, glue, bonus floors, paddle expansion and extra score. Your best results are saved in a highscore chart. You can also download Addons to extend it.